Despite best intentions, plans can go awry. Having a professional contractor on hand will make things easier. The services of a professional will ensure a quality finish, the provision of a definite cost to discuss with your neighbour, and also put an intermediary party in place. You need to make sure you have discussed the critical details with all affected parties. Remember, a fence is shared with your neighbours, so you need to make sure that they are in agreement with your plans and the budget. A budget which may be shared. By checking with your neighbours and getting the go-ahead, you avoid potential disputations down the track. It’s a case of, ‘a stitch in time saves nine.’ For example, you may not be aware that your plans will obstruct their view or prevent the sun from reaching a certain part of their property. Neighbours can only protest to a certain extent, but it’s always best to show a bit of neighbourly love. Yes, as annoying as it sounds, your neighbours aren’t the only party that need to be in agreement with your plans. Each local council has their set of rules and regulations on fences. A professional contractor will know these regulations, but it’s always good to do a bit of research. The best place to start your research is with our blog on fencing laws in Victoria. This blog provides you with a great starting point and gives an overview of any strictures you need to take into account. Check online for references. Most companies will have a social media presence which is a great place to check for online reviews. On the other hand, if they don’t have one, they may not be the most professional operator. Research a few names in the area. Make comparisons across services delivered and price points. Remember, cheapest isn’t always best. Only engage a company that uses the best materials. If a company offers a quote that is too good to be true, it probably is. Make sure the company provides you with licensed and accredited tradespeople that have all the right insurances. You really want experience on your side. The new kid on the block might have all the tools and talk, but do they know what to do if anything goes wrong? The way they interact with you is a good glance into their service. Are they helpful over the phone? Do they welcome questions? Are they prepared to offer free quotes? You deserve someone that cares about you, not someone that’s just interested in collecting on the quote at the end of the project. Have a clear idea in place, but also be prepared to be flexible. Your original design may cost more than your budget allows, or it may not be possible on your property. 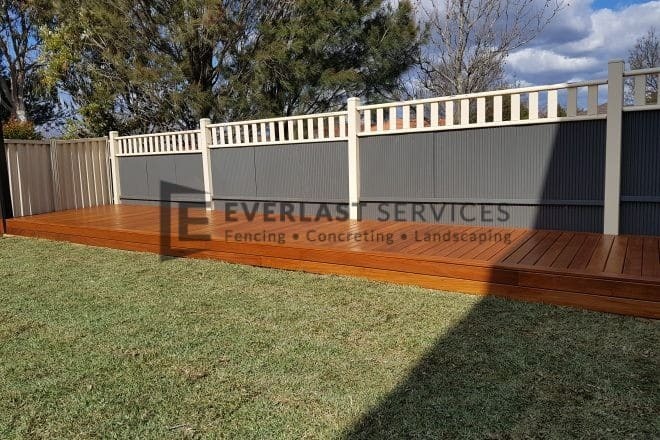 Your fencing contractor will be able to suggest great alternatives, so be open to options. Installing a fence is a lot harder than it looks. You can’t expect it to be knocked up in a couple of hours. Good work takes time, so let the professionals do their job. So, Why Will Your Neighbours Prefer A Professional Approach? It’s a lot harder to raise queries about a professional approach. Your neighbours will be understandably concerned if you and a couple of mates start slapping up some palings. Everyone is rightly protective about their property, and they deserve a well-constructed fence. Another benefit is the timeline. No matter how hard you work, you’ll never be able to get a fence erected as quickly as if you hire a fencing contractor. A professional contractor knows what they’re doing, and they know how to streamline the entire process. Finally, you know the fence will last. If you do it yourself, or ask a friend, chances are you’ll be back at square one after a couple of years. You and your neighbours deserve the peace of mind of knowing that the investment in the new fence will pay off, and hopefully, that you’ll never have to build another fence again.